New Delhi : The 2019 season of Bangladesh Premier League (BPL) completed a glorious end and emerged as an enormous hit in the cricket-crazy nation of Bangladesh. 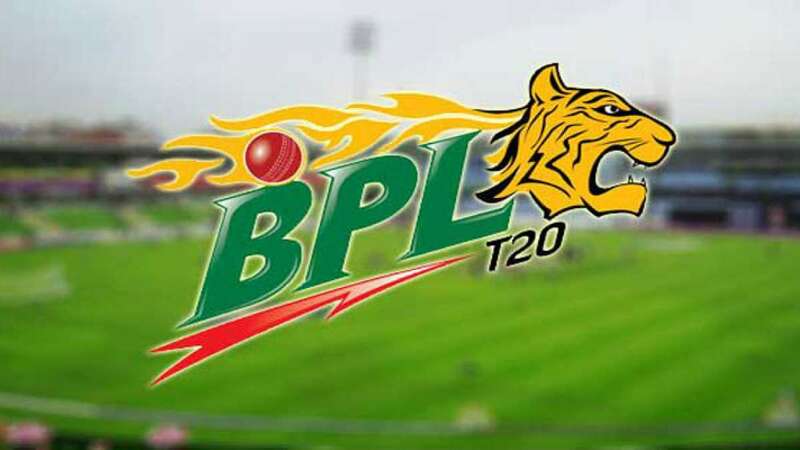 The tremendous video coverage and TV Production of BPL gripped every nook and corner of Bangladesh, the BPL achieved an unprecedented success even shattered all the existing viewership records of the previous seasons. Its unprecedented success has given Bangladesh Cricket Board (BCB) all the more reasons to be elated. The league achieved various milestones in this year's edition by introducing major technological changes, implementing state of the art high-tech equipment, and matching international broadcast standards. The use of latest stump cameras, spider cams, drones in the stadium gave the BPL a global appeal which put the cricket lovers in the country in awe. Commenting upon this year's BPL, BCB chief and MP Nazmul Hasan said he's extremely happy with the phenomenal success and lauded the use of state-of-the-art technology which raised the bar of the home-grown league. "I am thrilled with the success we had this year because every time we wanted to improve further and this time around we tried to bring in newer technologies and in that sense, it was really good. But the biggest achievement for us is the huge number of fans visiting the stadiums this year. We need larger capacity stadiums, that's for sure. "I am very happy with the production and innovations we introduced this year be it Zing Bails, spider cams, or drone cams. We always wanted to do better and the use of technologies and hi-tech gadgets this year has been good. We strive to get better with every passing season. It was also a tremendous hit on the television due to improved production standards," he highlighted. Not just in stadiums, even the audiences watching the action unfold in front of their television sets had a unique experience this time around. The influx of technology and drones made this year’s BPL more colourful and the viewers felt more connected. A huge set-up of cameras being operated across all venues gave the viewers get a 360-degree coverage. The use of high-tech equipment gave a unique experience to the millions of fans who couldn’t visit the stadiums and watched their favorite cricketers. Real Impact Private Limited, Asia’s leading TV Production Co. was handed over the responsibility of providing the TV Production Services including hardware and technical solutions for the BPL. It is delighted with the immense success of the BPL on the television as it shattered all the previous viewership records. Commenting upon the positive response the company has been receiving from its work in the BPL, it's director Rajiv Sabharwal said, "I am elated with all the praise we are getting after successfully hosting this year's BPL. The league was a tremendous hit as it shattered all the previous viewership records and everybody involved in the production of BPL has lauded our work. I am extremely proud of our team and the quality work we did and the response we are getting. We are definitely going to make it bigger next year by introducing more innovative technologies and equipment to give an even better viewing experience to the millions of audiences watching the league on their television screens." India-based Real Impact offers One Stop Shop for all integrated media and entertainment production services with holistic hardware and technical solutions. Not just fans, even the foreign commentators and cricketers applauded BPL for its use technology like two-way stump cameras in the matches which gave a truly remarkable experience from the centre of the pitch. Former New Zealand cricketer and now a commentator Danny Morrison seemed particularly impressed with the Zing Bails Lightning Technology, introduced for the first time in the BPL. According to him, it was one of the biggest technological highlights of this edition of the BPL along with the video production and coverage. The fans went gaga over the use of hi-tech devices and praised the organisers on social media as well. Anwar Chowdhury, a resident of Dhaka said he thoroughly enjoyed all the cricketing action watching it on TV screens, “I couldn't visit the stadiums this year to watch a single match in the stadium, but honestly I didn't miss any action as I could see everything on my TV screen. The viewing experience this year was second to none. I am thankful to the BCB as well as the TV Production Co. for making the advancements in the year's BPL. Watching the use of such hi-tech gadgets in our stadiums swelled my heart with pride." By successfully hosting this season, the BPL has certainly established itself amongst as a major T20 league and even grabbed the global attention for its brand of cricket and involvement of the passionate fans.